Over the years I’ve been lucky with roommates, for the most part, but I’m well aware that sometimes living with people has its downsides. My last roommate, for example, had a predilection for cheese singles and would frequently sneak individual slices out of the fridge during the night, leaving the plastic wrapping behind like some weird calling card. That’s as bad as it ever got though, and I could overlook his predilection for cheap, plastic, cheese because he never judged me for drinking during the day in my pants. It sounds like some roommates aren’t as forgiving of each other’s quirks, however. 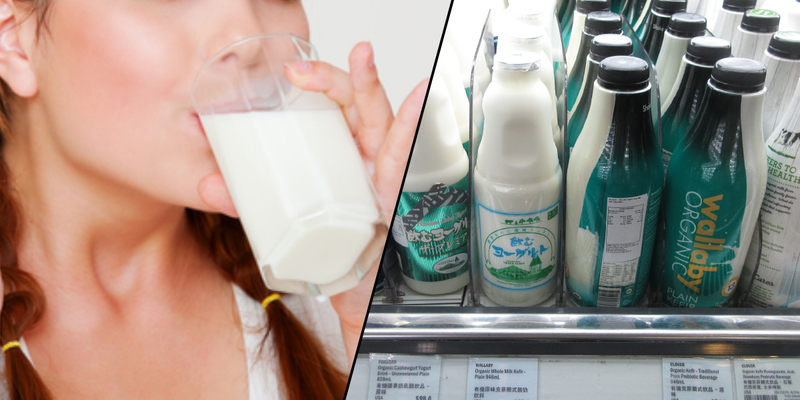 Take this student at Chinese Culture University in Taiwan for example who demanded local police investigate her roommate for stealing her yoghurt drink. According to Vice the unnamed woman, who lives in a house with five other women, discovered one of her $2 yoghurt drinks in a bin and freaked out, demanding the thief confess. As you’d expect no one confessed to the petty crime and that’s when things… escalated. The raging woman took the bottle to the closest police station and explained the situation to the police. And while you might expect the Po-Po to laugh her out of the station they actually took the case, we can only presume it was a slow police day. The police went full CSI on this attempting to get fingerprints off the bottle, but the devilish mastermind who consumed the yoghurt had either worn gloves or the Taiwanese police were incompetent, and the couldn’t get prints off the bottle. This left the police with only one option, genetic testing. Of course, all five of the housemates had to be tested so it ended up costing $500 but it was worth it because the thief was identified. She is currently facing a charge of theft and the unidentified victim of this horrendous crime is vindicated. Well, we say vindicated, they’re actually pretty unpopular with their roommates and Taiwanese taxpayers who ad to foot the bill for this ridiculously petty crap.